For the last decade, LAIKA has delivered incredible works of art and artistry in the stop-motion animated films Coraline, ParaNorman, The Boxtrolls, and Kubo and the Two Strings. Four films with five Oscar nominations among them, four films that featured a mixture of genre, tone, settings, and original or adapted storylines. The studio’s award-winning animation techniques have also evolved from one film to the next so that no two pictures are alike. The one core similarity that runs through every LAIKA film, however, is an ambitious storytelling spirit anchored by charismatic and compelling characters. 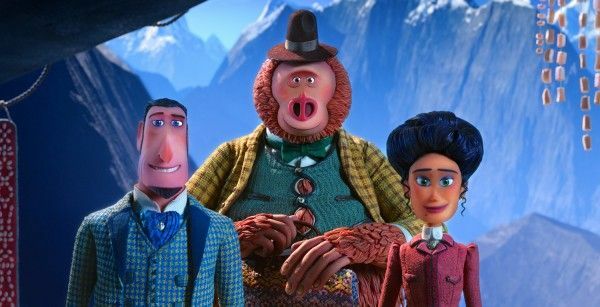 Missing Link continues this trend and offers up LAIKA’s most adventurous and yet most accessible film yet. Admittedly, I was on the fence about Missing Link when its logline was first revealed. I was concerned that the studio, one of the rare sources of talent producing animated features that both children and adults can enjoy simultaneously, was heading in a more commercial direction at the expense of cerebral storytelling. I couldn’t have been further from the truth. Missing Link may be funnier, easier to follow for audiences of all ages, and visually bolder and more colorful than its predecessors, but its story is still imbued with the heartfelt emotion of LAIKA’s best. Missing Link follows the brave adventurer Sir Lionel Frost on a journey to find the legendary Sasquatch and reunite him with his long-lost relatives. Along with fellow explorer Adelina Fortnight, the fearless trio weathers all manner of perils and ultimately learns that sometimes you can find family in the places you least expect. That’s an easy-breezy sum-up of an adventure story that traverses iconic locations in the world circa 1900 but also navigates subtext like xenophobia, classism, and the anti-evolutionary precept of human exceptionalism. Yep. But don’t worry, there are also plenty of shootouts, chase sequences, and slapstick comedy along the way to keep things light and fun. 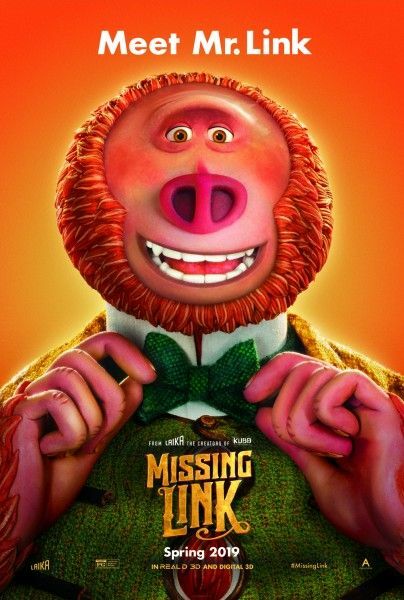 Writer/director Chris Butler‘s original idea for Missing Link was inspired by Indiana Jones movies, Sherlock Holmes stories, and James Bond adventures; you don’t have to look too hard to spot those references throughout the film. Sir Lionel Frost is a classic Victorian English hero and adventurer, always immaculately dressed in a tailored suit, ready to spring into action at a moment’s notice, and outfitted with both quick wit and an encyclopedic knowledge of his singular pursuit, in this case, cryptids. However, the negative aspects of his personality are thrown into sharp relief. Frost’s willingness to use others to achieve his ultimate goal (gaining admittance to the Optimates Club, comprised of veteran hunters and noble gentlemen, though I use those latter terms loosely) does not make him many friends. It’s the film’s title character, Mr. Link a.k.a. Susan, who is blind to Frost’s ambitions and sees him as a friend and boon companion who will help him to find his legendary cousins, the Yetis. If Missing Link has a shortcoming, it’s in the story. Butler could have pushed Frost’s willingness to use those around him to achieve his own ends a bit more aggressively. The movie feels like it wants to go in this direction but opts to keep Frost a gentleman by definition, robbing his character’s arc–and the story–of some of its teeth. Link plays the lovable but naive member of the party, sort of a like John Candy‘s Del Griffith to Steve Martin‘s Neal Page, with the exception being that Page is far more of a misanthrope than Lionel Frost. Adelina, on the other hand, is a character who fails to live up to her ambitious design. She fluctuates between depressed and adventurous, dependent and independent, and her arc is not very well defined over the course of the film. Her final farewell feels very much like an afterthought, a product of the 21st century’s social consciousness while not being earned or even well established throughout the film itself. That’s a shame considering that the framework for a strong character was there, it’s just the execution that was lacking. If you remember just one thing from this review before seeing Missing Link, let it be this: Just about everything you see on screen is a product of stop-motion animation. (If you remember two things, note that Sir Lionel Frost has truly superhuman grip strength.) Roughly 130,000 individual images of incredibly complex puppets, moved incrementally over time on highly detailed sets by talented and impressively patient animators, were all digitally stitched together like the world’s most expensive flip book. Keeping this in mind as you watch makes every frame all the more impressive. To fully appreciate the hard work and artistry that went into Missing Link, you can visit LAIKA Studios for a guided tour, or, if you don’t get to do this kind of thing for a living, pick up Insight Editions’ latest book, “The Art of Missing Link.” You’ll better understand the challenges of things like animating puppet humans riding on the back of puppet horses and elephants, and how to animate 200 swinging tassels on a stagecoach one frame at a time. LAIKA’s expertise at delivering believable action and characters in a stop-motion animated format is beyond impressive, so much so that Missing Link could easily be mistaken for a 100% computer-animated film. The studio and their films are victims of their own success in this regard since casual moviegoers likely aren’t aware that each and every frame of this film was hand-crafted, from skeletal rigs to silicone skin and hand-stitched/dyed costumes, lit by various animators with painstaking attention to detail and consistency across multiple sets, and generated at a pace of a few seconds of finished animation a week, on a good week. That’s worth the price of admission alone and as good a reason as any to stick around through the credits where even more of LAIKA’s artistry is on display. Missing Link is an absolute technical marvel with charismatic characters, impressive visuals, and enough heart and humor to make it an instantly rewatchable family favorite. It’s legendary. 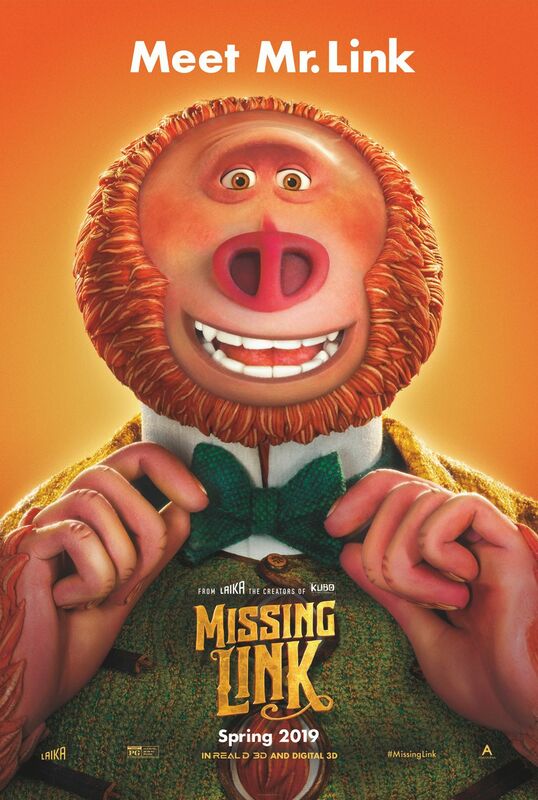 Featuring the fantastic voice work of Hugh Jackman, Zoe Saldana, Zach Galifianakis, Timothy Olyphant, David Walliams, Emma Thompson, Matt Lucas, Ching Valdes-Aran, Stephen Fry, and Amrita Acharia, Missing Link arrives in theaters on April 12th.